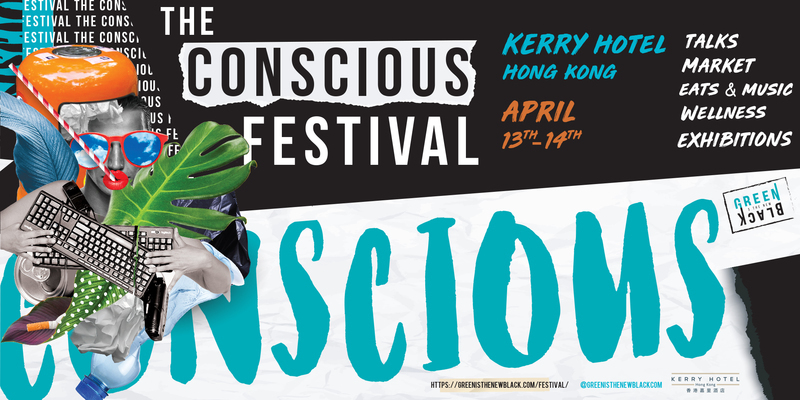 THE CONSCIOUS FESTIVAL By Green Is The New Black is returning to Hong Kong for its 2nd edition! What is the Conscious Festival? With over 70 brands, artists and quickie talks from change-makers who are making meaningful change in their industries and doing good in the world, the Marketplace is a 360-degree immersive experience into living more consciously. Game-changing talks and panels, bringing together some of the leading conscious change makers and thought leaders in Asia and beyond. A feast for your mind and motivation – come one person, leave another.